The statistic ranks the leading mobile payment methods used by digital gamers to buy console game content worldwide in 2017. 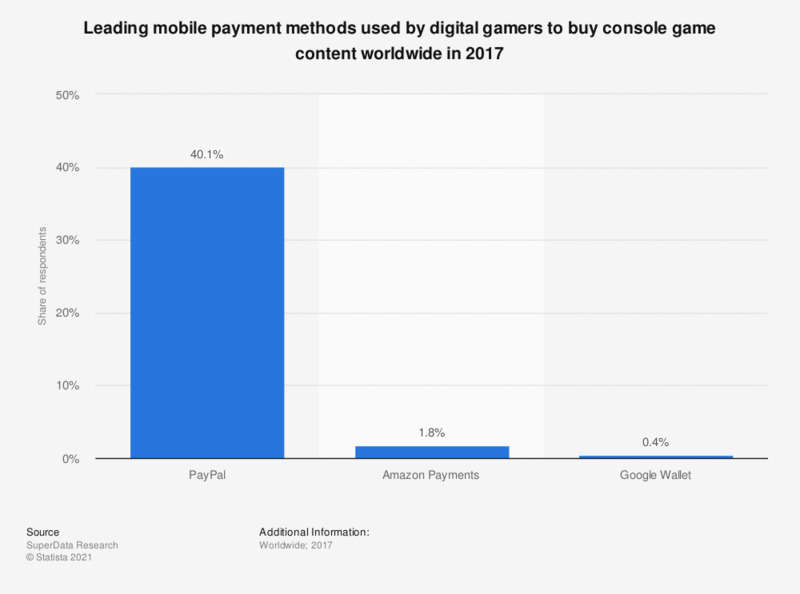 According to the source, 40.1 percent of digital gamers indicated PayPal as their top choice of payment method for console gaming content in the measured period. Question: In the past three months, which of the selected payment methods did you prefer to use the most to purchase digital video game downloads or in-game content?